Sinus trouble? Chest tightness? Runny nose? These are just a few of the irritating things about season discomforts. Want a quick, effective and easy way to reduce some of these symptoms? Look no further than hot water and essential oils. A steam is great for so many reasons. It’s relaxing, it’s easy, it’s fast and it’s drug-free. Depending on your symptoms there are a variety of oils that are great for use in a steam blend. 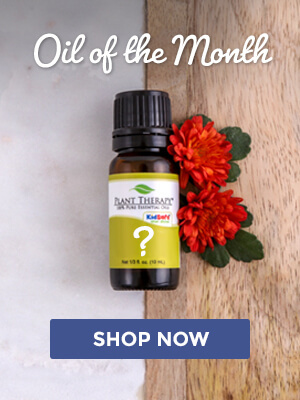 Which oils should we choose? Typically you want something that can reduce any uncomfortable feeling and with properties to help improve airflow through the nasal passages. Another property we’re probably looking for is something to help break up mucus. Learning how and why oils work for you is so empowering. Having great reference material and trusted sources are so important. Check here for books that we recommend: Books or check out Aromaheads free Intro course on essential oils. Let’s take a closer look at the oils that will be used in the stock blends. Tea Tree and Lemon are two of my favorite for any kind of concern involving airways. These two oils work well together. Lemon is also helpful to improve comfort. German Chamomile, is my favorite for common uncomfortable situations and mild soreness. Palmarosa is another favorite of mine. is also a wonderful oil to consider pulling out of the oil box when seasonal illness strikes The other really nice thing about Palmarosa, it has moisturizing properties, which make it very nice for a dry, tight chest. 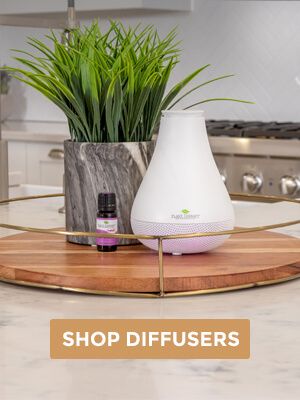 Cedarwood (all types) has excellent properties in supporting and maintaining a healthy respiratory system, especially during those (seemingly) never-ending winter months! Pine Scots is particularly known for its ability to help support a healthy respiratory tract. Spearmint is very helpful to break up chest congestion and improve any queasiness that may accompany times of seasonal illness. Choosing from any of the above oils for colds and coughs is a great start to feeling better faster! Below are some recipes to get you started. Before we look at those, let’s look at how to effectively do a steam. 1. Grab a medium glass bowl, bath towel and your chosen essential oils. 2. In a pot or kettle, bring water to just before the boiling point. If you reach the boiling point, remove from heat and allow to cool a few minutes before proceeding. 3. Place your bowl on a sturdy table or countertop. Pour your hot water into the bowl then drop 1-2 drops of essential oil into the water. 4. 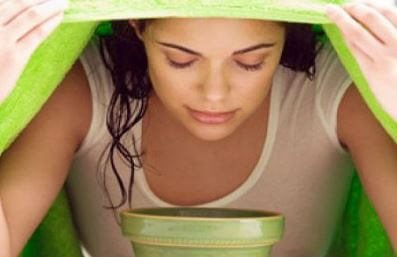 Keeping your eyes closed, move your head over the bowl and cover with a towel. Don’t open your eyes during the steam process, you don’t want the vapors in them! 5. Breathe deeply for a minute or two, it doesn’t take long. Once you’re finished with your steam, simply pour out your water and put away your towel. Now take a deep breath – isn’t that better? Use 2 drops of blend per bowl of hot water. Repeat 2-3 times per day as needed. 30 drops Palmarosa, 15 drops Cedarwood. Use 2 drops per bowl of hot water. Repeat 2-3 times per day as needed. For the Congested Chest Master Blend, I don’t have Pine Scots, but I have Cypress, Silver Fir and Douglas Fir (the Firs were from an OOTM). Would any of these be a good substitute? Kari, Cypress would be a fantastic substitute! I have inflamed vocal chords that have kept me from being able to sing for 2 years. (I’ve been to an ENT) Would steam inhalation help with that and, if so, what oils would have the best anti-inflammatory properties? What would be best for a runny nose? 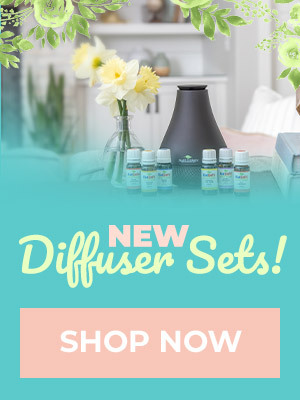 I want to make the Sinus Master blend but I do not have German chamomile? Any subs I can use? Are there any oils that shouldn’t be used in a steam? I did one last week with a drop each of Rosalina and Saro and it helped a lot but then I wondered if some oils aren’t recommended to be used in a steam (another I would consider would be eucalyptus dives or globulins, or balm mint bush). There are some oils like peppermint, lemongrass, cinnamon, clove that I would not recommend using in a steam as they can be very irritating. In term of synergies, which is more recommended, Respir Aid or Clear Again? And what is the difference? Hi. My husband has a congested chest. Can i substitute Abies Alba for the Pinus sylvestris in the steam blend for congested breathing? Or, I have Cedarwood. thx. Teresa, you can substitute with either of these oils. Please email us at [email protected] for a more in depth discussion so we can make the safest recommendations. Can sniffle stopper be used with this technique? I don’t have either type of Chamomile yet but I see that both palmarosa and spearmint are also listed as anti-inflammatory I should be able to sub those for the chamomile in the sinus recipe right? Those would be fine to use! Probably a really stupid question, but do you cover your face with the towel, or the bowl with the towel? I have URI and cough, which comes from a tickle in my throat that will not go away, thinking allergies. What about combining Tea Tree, Lemon and Cedarwood for steaming? any other suggestions for this issue, thanks in advance. I think Tea Tree, Lemon & Cedarwood sounds nice! great tips! How about White Fir as a sub (Abies Alba Needles) for Pine? I can only see Abies Alba Needles? With the mucus recipe, could spruce be subbed for the pine? Heather, yes I think you could sub Spruce (Tsuga Canadensis) for Pine (Pinus pinaster) Or Fir Needle (Abies siberica) could also be used. Thank you! I think it’s time to find some inhalers. I’m wondering…my 4-year-old isn’t capable of following these instructions, but I feel he could greatly benefit from this technique. Do you think it would be effective to set a large pot on the stove to simmer with a few drops of each for 15 minutes or so? The steam itself is part of the effectiveness. I’d take a personal inhaler into the steamy bathroom & close the door. Allow him to sniff the inhaler while sitting in the bathroom for 10 minutes or so (take books or a game, etc for entertainment)! Thanks so much Christina. I’ll have to add German to my kits soon. And I signed up for the free intro course, thanks for the heads up on that. Love it! And just in time for my son’s summer cold that suddenly showed up yesterday (right on the heels of eating a slice of totally junky birthday cake, of course! ).